​Contact us now to find out how much you save on this offer! ​They will help generate greater business awareness and potential sales. Ask us for Social Media advice to see how you can improve what you are doing now using social media to get a greater response to your media promotions and advertising. 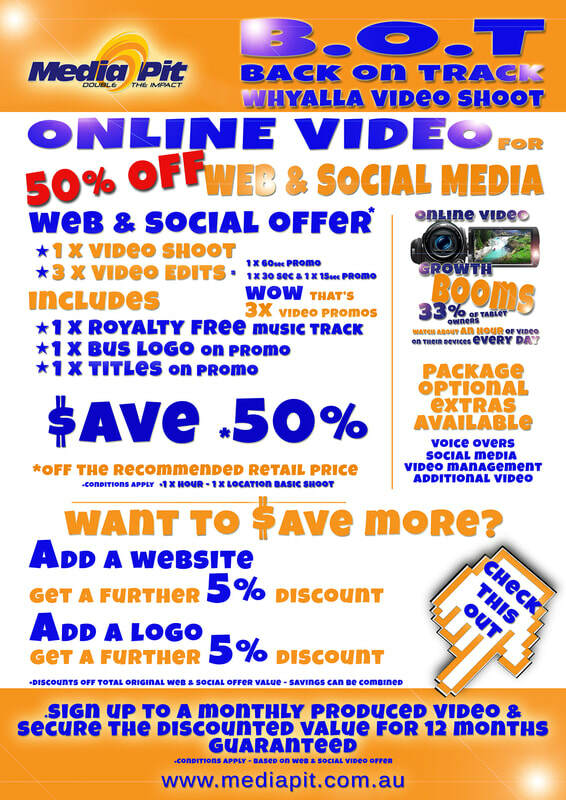 ​You can make a product or service video to promote your business, service or offer OR why not even get ready for Christmas and make a Christmas promo its up to you what you need, we will help you decide the options you require. ​Fill out the form and we will make contact to discuss it further!